In 1925, "Mr. Sam," as his first employees referred to him, and a fellow Washington University graduate, Herman Spoehrer, formed a partnership, S&S Electric Company. The one-room company and two electricians was renamed S. C. Sachs Company in the early 1930's. Sam Sachs passed away in 1980, the beginning of a decade marking Sachs Electric's increase to 600 employees and over $60 million in revenue. Projects also extended as far as Pago Pago and American Samoa with the installation of tuna canneries. In August of 1990, the employees of Sachs Electric Company, led by the four principal operating officers, acquired 100 percent of Sachs Electric Company's stock to buy out the sixty-five-year-old family business. The start of the second subsidiary, Sachs Civil, Inc., renamed from the Civil Department, was followed by the creation of the third subsidiary, Sachs Systems, to service the network and communications aspects of electrical construction. 1995 marked Sachs Electric's first acquisition with the addition of Sachs Automation (formerly Brown Automation), an instrumentation and process control contractor. From the first pumped storage hydro plant in 1960 to our construction of the largest concentrating photovoltaic array in the country, Sachs Electric has a rich history in renewable energy projects. 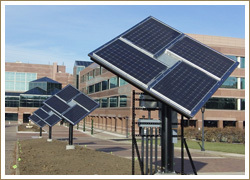 Our experience and services have been used to deliver state-of-the-art renewable energy projects throughout the United States. Our services allow us to provide excellent project management and installation from start to finish. Sachs Electric's has dedicated teams of project managers that focus on electrical installation for major manufacturers throughout the United States and Canada. 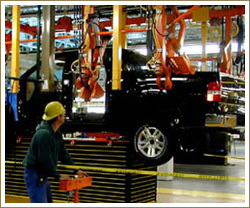 Our propensity for completing large, complex and fast-track installations has been an optimum fit for heavy industrial installations in facilities such as automotive and aircraft assembly plants. We have repeatedly demonstrated our ability to quickly mobilize a team of electricians to complete extensive new construction or facility renovation in virtually any location. By partnering with our customers, we bring technical experience, design capabilities and management techniques for projects ranging from holiday shutdowns to new multi-building production plants. Through continuing partnership with major manufacturers and general contractors, our project teams provide cost savings, better installation practices, assistance with coordinating multiple trades, and complete project work on time and within budget. Few companies have Sachs' ability to competitively mobilize the necessary equipment and ingenuity in-house before moving to a national location. Effectively employing a combination of permanent staff with local unions is another advantage Sachs Electric brings to complex projects within a manufacturing environment. Project work in this market typically includes electrical, communications and instrumentation installations for paint shops, phosphate/e-coat systems, conveyors, robotics, sludge systems, trim equipment, assembly plants, building systems and facility power and lighting.